Hopefully, you’ve realized when all of your accounts are taxed; if not, here is a quick refresher. So basically it’s a lose-lose-lose scenario when it comes to taxes, unless you play your cards right. If you’re using your taxable account to save for retirement (obviously after maxing out your tax-deferred retirement accounts), then there is a way for you to tap into this account tax free. There is a 0% tax rate available only to those who find themselves in the bottom two federal tax brackets. Some people use the magic number of $75,000 or below to avoid these capital gains and dividend taxes, but it really depends on your filing situation. 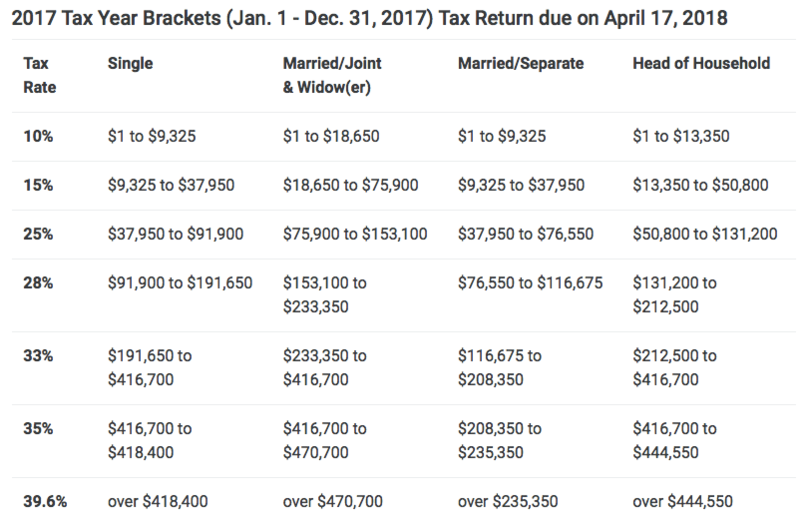 If you’re single, then you need to be below $37,950 to pay 0% taxes. Also, it’s very important to factor in any residual income you may receive after you retire. Some physicians will continue to collect income from services they rendered many years out depending on how their billing and collections operate. The other benefit of keeping your income below the 2nd tier tax threshold is you don’t have to pay taxes on any qualified dividends earned in that tax year. So effectively your money grows tax-free and is withdrawn tax-free as long as you don’t cross the line. Does not apply to state income tax- while you may find yourself in the 0% tax rate federally, your specific states may have other ideas. Make sure you check your state’s guidelines. But this time it’s good news. When we calculate which federal tax bracket we fall into, this is after you take your deductions and exemptions. So if your sole income from the year is coming from a taxable account, assuming a standard deduction of $12,600 and personal exemption of $8,100 for a married couple. This could allow you to have an income of up to $96,600 while still paying 0% in taxes. The other good news is that withdrawals from Roth accounts can add to your annual income without increasing your tax rate. So diversification of your accounts is key. By taking advantage of the 0% tax bracket, you can get the most back from your taxable accounts while not having to even touch your other retirement accounts. Let’s take an example of a physician who worked for 20 years, maximizing 401k contributions every year, then made the decision to retire. I know to you FIRE folks, 20 years sounds like a long time to work, but you know, California and stuff. So this physician put away $54,000 each year which we will assume grew at an 8% rate. At the end of 20 years, he will have $2,668,837.76 in his 401k. Now, if he is able to take advantage of the 0% tax rate by pulling from his taxable account for the first few years of retirement, this will allow his nest egg to grow even more. Without even making a single contribution over the two year period, his 401k could potentially grow to $3,112,932.36 assuming the 8% growth rate. So by delaying the withdrawals from the 401k at the beginning of retirement, he not only took out long-term capital gains from his taxable account without paying tax, but his 401k grew another $444,094.60. When it comes time to start game planning your retirement, it’s definitely advisable to meet with your accountant to go over your plan. That is of course unless this guy is your accountant, in which case you’ll probably never pay taxes again. Physicians: What will you do for your finances? Next post > Can we implement the Canadian health system in America?